Gaining visibility of trends in customer demand is important for any business but for a company with lead times of up to a year, it is essential. Internationally renowned piano manufacturer Steinway & Sons is using PrecisionPoint business intelligence software to gain unprecedented insight into sales and inventory from its Microsoft Dynamics Navision (NAV) ERP solution. PrecisionPoint enables sales to be analyzed in multiple dimensions: by product type, size, finish, dealer and customer type – domestic or institution. Indeed, Steinway & Sons is even analyzing which products are most popular for performance venues, and which for practice rooms. Combining data from disparate sources, including a dealer targets database, enables the company to track dealer performance, also by product and market. As a result of this insight, the company has been able to reduce its inventory levels and improve its understanding of the evolving trends in customer demands. Founded in 1853 in a Manhattan loft, Steinway & Sons is credited with the development of the modern piano. The pianos have always been built one at a time, with skills handed down from master to apprentice. Today, the company produces around 2,500 pianos each year, and still builds its pianos in the same way, both in New York and Hamburg. With manufacturing located in two of the most expensive cities in the world, Steinway & Sons needs to keep close control over production costs; while escalating distribution costs are also a concern for this truly international operation. And with products sold via a network of distributors across the globe, it is also important to keep track of trends in dealer performance against targets by territory, market type and product style. Steinway & Sons is primarily using PrecisionPoint for monthly sales and inventory reporting, as well as ad hoc reports in response to specific business requests. Sales are analyzed in multiple dimensions: by product type, piano size and finish, as well as geography. These reports are distributed throughout the organisation, from the overall Company President to District Sales Managers, the New York operations President and the entire marketing team. In addition, Steinway & Sons routinely undertakes ad hoc reports to meet specific business requests – such as analysis of sales across South America, by country and product. 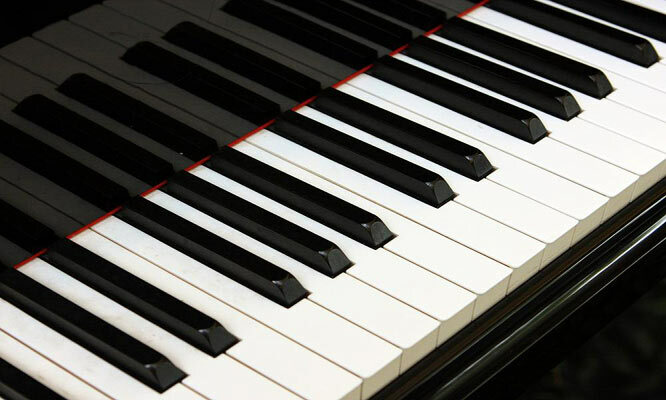 With each grand piano taking nearly a year to create, and lead times on even standard pianos upwards of six months, it is becoming ever more important to improve understanding of sales trends to ensure production meets customer demand down the line. Furthermore, given the changing market it is also important to avoid unwanted inventory where possible. The use of PrecisionPoint has enabled Steinway & Sons to radically reduce the value of its US inventory, using trends in sales history to optimize inventory while still satisfying orders from dealers in a timely fashion. “Inventory analysis is incredibly straightforward using PrecisionPoint. Steinway & Sons was able to reduce inventory value significantly and has been able to track to target inventory levels year on year. Over the last three years, we have been able to reduce our finished goods inventory by over 10%” says Conte. Throughout its use of PrecisionPoint, Steinway & Sons has retained a strong relationship with the company, embarking upon periodic training courses to ensure staff are exploiting the latest functionality and features. Looking forward, Steinway & Sons plans to further improve forecasting, combining insight into market change with additional sources such as dealer promotional activity to become more effective at predicting demand.